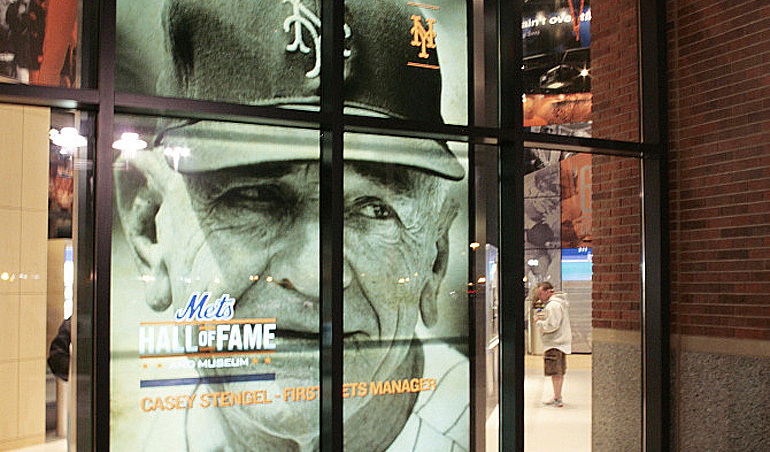 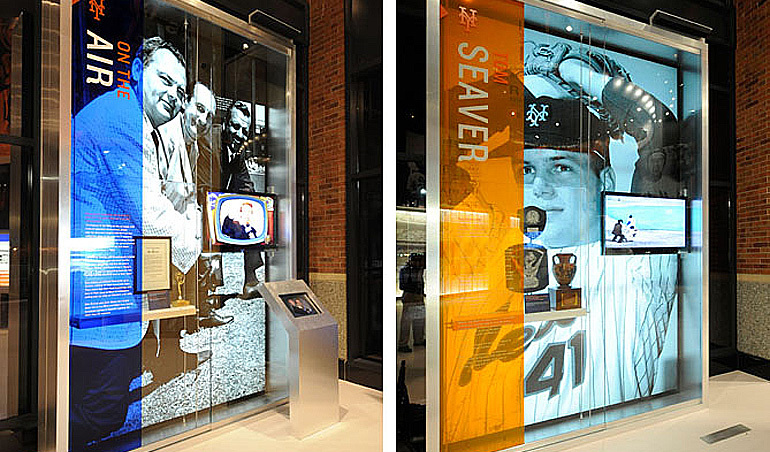 Celebrating the Mets storied folklore, colorful characters and World Series accomplishments was integral to this Hall of Fame project. 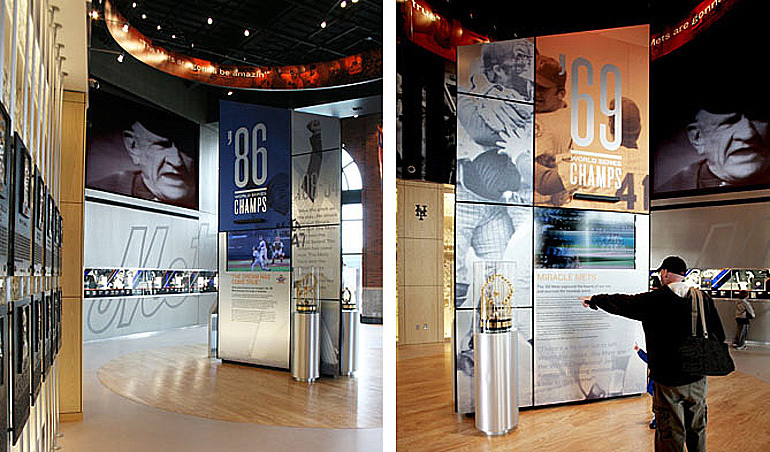 The Hall’s central element is a large prism which highlights the Championships in 1969 and 1986. 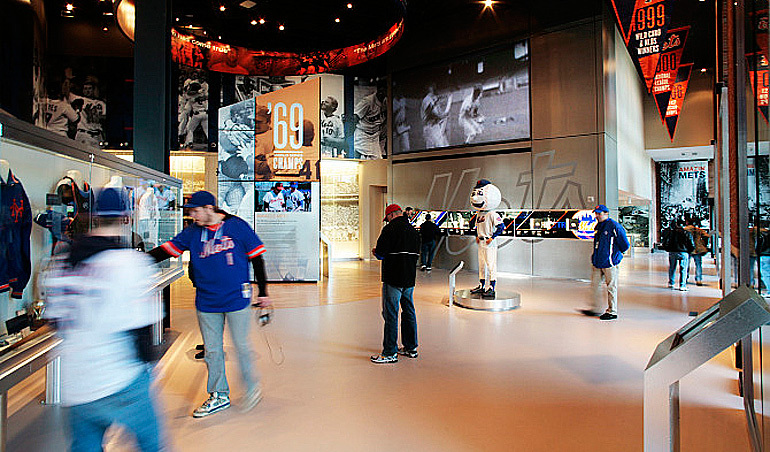 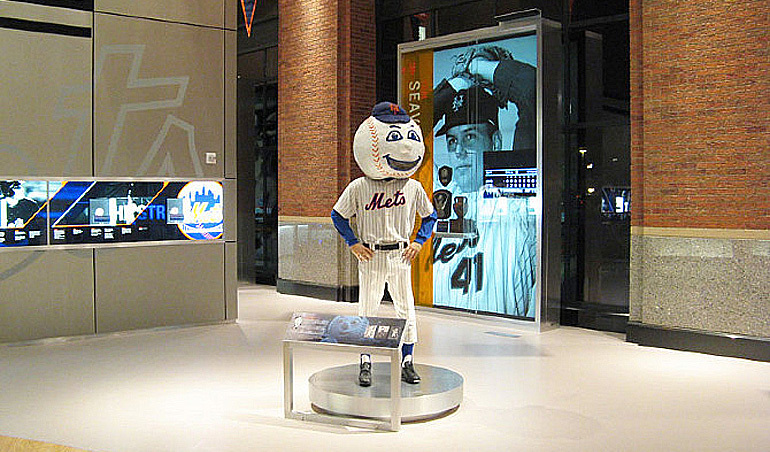 Also included in the space is an interactive touchscreen display, video wall, large showcase panels displaying key figures from the organization, the current Mets HOF members and even Mr. Met! 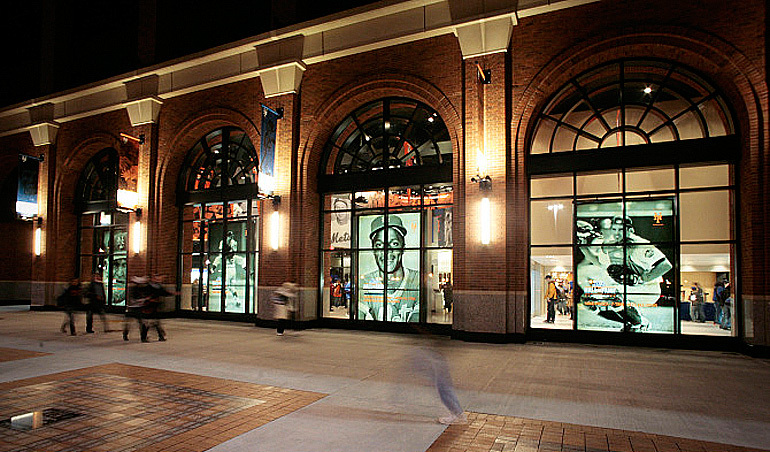 Working with Brian Mirakian and Ben Suh from Populous, our responsibilities included concept development, material specification and presentation documentation.